New York City's premier production studio for green screen, video, & traditional photography. Studio A is a 900 sq ft studio featuring a 20" x 20" corner Cyc Wall stage, make up station, adjacent 400 sq ft green room, and a fire escape often utilized for shoots. Studio B is a 800 sq ft studio featuring natural light and a spacious client staging area. Studio C is a private 650 sq ft "L" shaped studio located on the 6th floor with great natural light and a client staging area, perfect for full body fashion shoots. 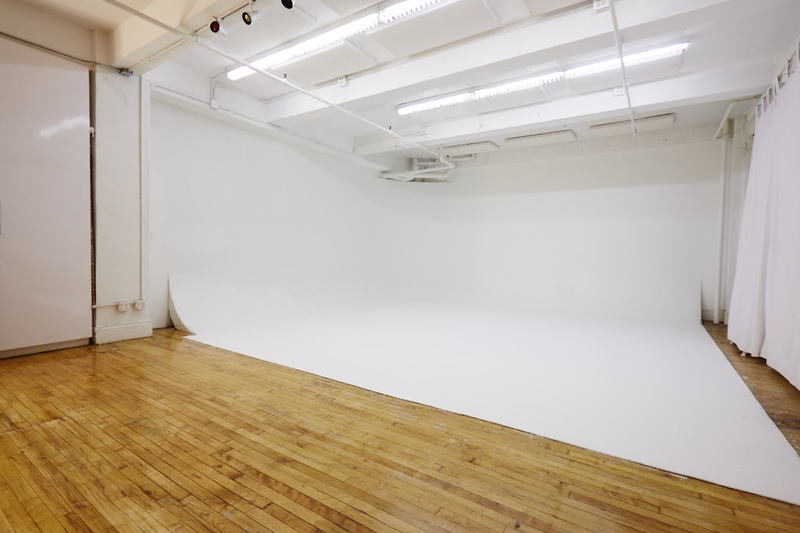 Studio D is a private 800 sq ft studio located on the 6th floor ideal for large group shoots including fire escape access.